My story, like so many others, is a lengthy journey that led me to come home to myself. 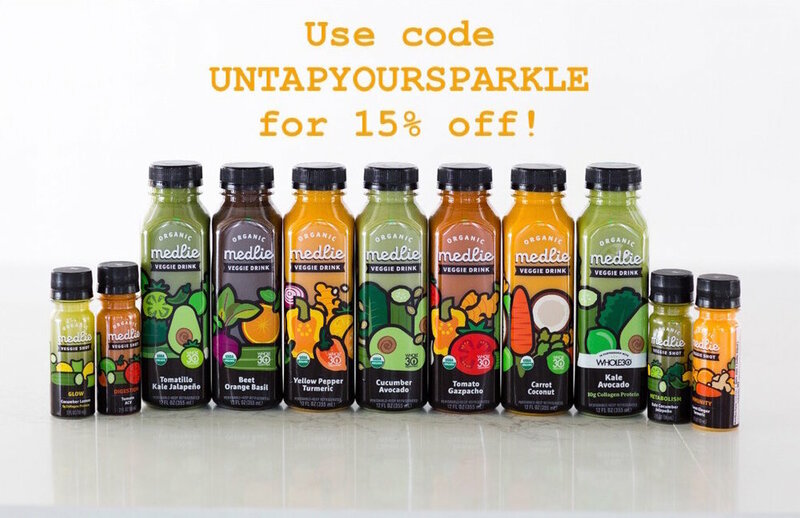 What is the catalyst that prompted me to truly take control of my life and untap my sparkle? The Whole30. It's true. As promised, the Whole30 absolutely changed my life. Let me back up a bit. I have always had a “thing” with food. Growing up, my identity included labels like larger, chubbier, thicker, big-boned. My human experience included feeling guilt and shame in connection to my body, my food choices, and my weight. I have always felt like I took up too much space, ate too much, and was a burden, in general. As humans, we carry all sorts of baggage of this variety. Being human is MESSY. Throughout my developmental years and young adulthood, I developed habits of trying to disconnect myself from my feelings, using whatever tool was most accessible to me. Turns out, after exploring many options, FOOD WOULD ALWAYS WIN. 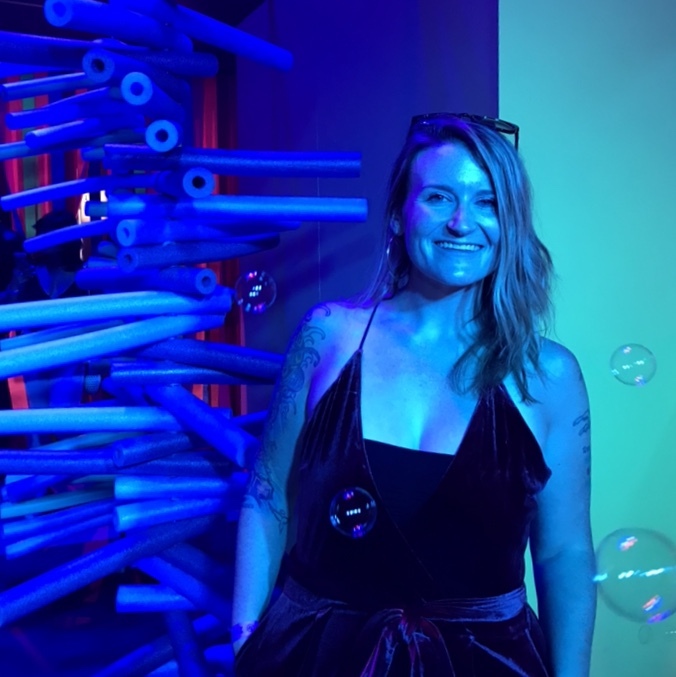 My mental health was suffering, and I was doing what everyone else (in my mind) was in the early 2000’s: I was being prescribed a very large cocktail of psychiatric medication, stuffing my feelings down with Sour Patch Kids, and smoking at least a pack a day. I had no clue why I was feeling so much anxiety, why my joints ached like they were being hit with hammers, why my gas smelled like poison, why my whole body was covered in eczema and sores, or why my digestive tract seemed to hate me. I would go days and days without a bowel movement, and then suddenly, the digestion train would shift gears and my entire system would release everything. My skin was covered in so many weeping sores of eczema and open wounds, a dermatologist recommended I take weekly baths that included diluted bleach, just to lower my chance of picking up a medication resistant infection. I was, simply, a f****** mess. In my desperation, I began reading as much as I could about nutrition, mental health, and of course, weight loss. In 2009, I reached my peak weight. I will always reiterate that Whole30 is not about weight loss, but I was miserable, and part of that misery was connected to the discomfort, shame, and guilt that came with my growing weight. For me, Whole30 has truly been about getting my life back. I started dabbling with making some significant dietary and lifestyle changes. I quit sugar for awhile and made some progress, but then went back and found myself miserable again. I quit smoking, which was a win, but of course led to cravings and weight fluctuations. I kept hearing about the impact of gluten, but when I learned all the delicious foods in the gluten category, I just pretended that it wasn’t something worth considering. I rode the merry go round of so many weight loss programs, eating fads, etc., and my body was rejecting all of it. In addition, my brain was experiencing some noticeable shifts. I was taking medications to support my mental health, and yet, each one seemed to be triggering new symptoms. I started researching that, too; reading everything I could get my hands on. As I worked with an incredible, supportive therapist to navigate the process (along with buy-in from a doc), I began removing the medications from my life (a slow, deliberate, treatment team guided process). As luck (and biology) would have it, shifting my diet seemed to be supporting my mood. Strangely, and at times it felt miraculously, as each different medication was removed, along with it went layers of symptoms. I navigated the very complicated road of medication withdrawal over many months. Although the path was still lengthy, I was on the road to coming home to myself in a very real way. 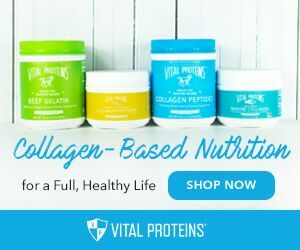 Eventually, I came to realize/accept that gluten had a negative impact on me, especially my mood, digestion, and skin. For a couple years, I thought that removing gluten “solved” the issue. Being gluten free was as good as life was going to get. I had Scooby Doo’d this medical mystery, and the digestion instability (which had made progress, but was still not right), the aching joints, food addiction, and the skin issues were all just a part of me. The chubby, puffy, anxious, eczema covered being was just the hand of cards that I was dealt. This moment is etched in my brain forever. It shifted everything. 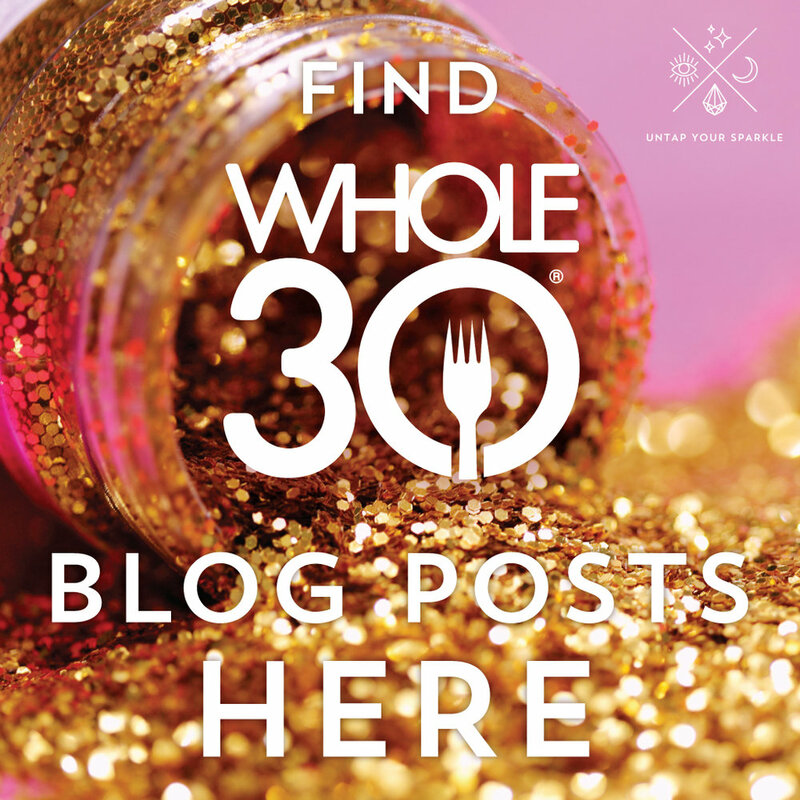 I had never heard of Whole30 until that fateful day. I began devouring It Starts With Food the way I would devour those dark chocolate salted caramels from Whole Foods... except I didn’t feel shame. I felt EMPOWERED. I felt like something was stirring in me. I was no longer settling for this lineup of shame, pain, guilt, and self-loathing. I was gaining freedom, and this was just in the form of information. Initially, I was too intimidated to consider trying a Whole30, and just kept playing around with the recommendations. Unworthiness and I have long been partners in crime, and it stepped right up to keep me stuck for awhile, but this time I had all things Whole30 marinating in my brain. Eventually, I found the most amazing doctor who walked with me as I learned even more about my health. After a stool test (I mean, I am a digestion enthusiast) came back showing that I was not digesting fats properly, she recommended an elimination diet. For the first time in decades, the food addict voice in my head usually telling me to go buy a loaf of sour dough, stand over the counter ripping it apart with my hands, slathering butter all over it and choking it down until I get the hiccups (Oh, is that just me? Cool cool cool.) went silent. SILENT. Over the following two years, I completed Whole30 five more times, usually continuing a bit longer than the 30 days, because I just felt so good. I have supported family, friends, and co-workers in their exploration of this program, giving them tips, clues, and pep talks. I proclaimed the power of #tigerblood for all to hear. I enjoyed talking about Whole30 (and still do) more than most topics. There is so much to share about just how much this program can change one’s life. Whole30 gave me my life back, but I still had more work to do. As mentioned, humans are messy. While I was no longer covered in eczema (a Whole30 miracle right there), I was still noticing red, blotchy skin after meals and patterned red flushing on my face. 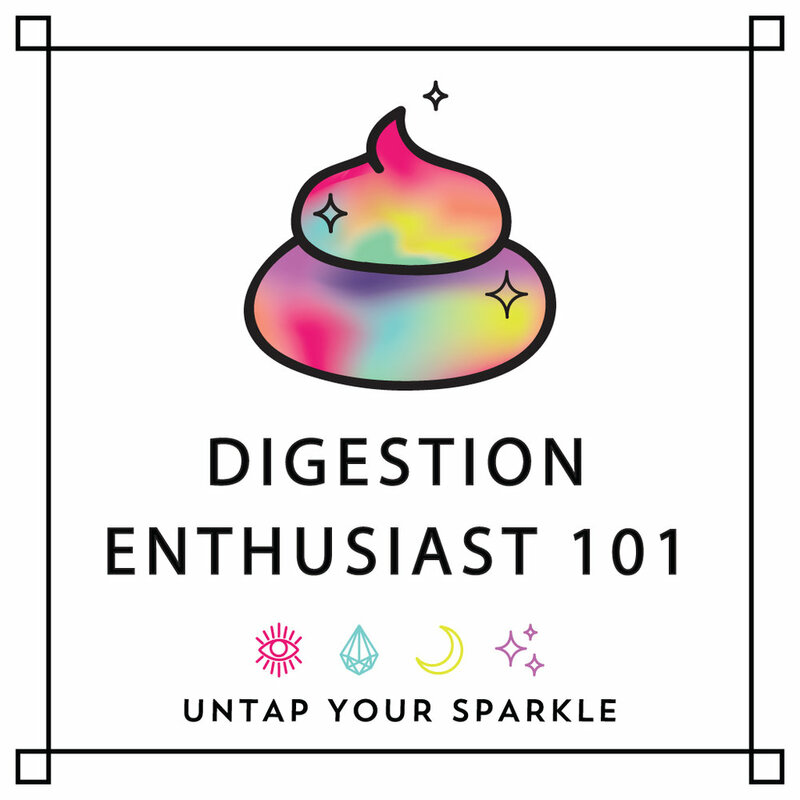 While my digestion was moving on a whole new level (another Whole30 miracle), there were still days when my guts halted the show, deciding they were in charge of the plans for the day. While my joints did not feel like hammers were hitting them quite the same way they used to, they still ached, especially at the beginning and end of the day. I also began noticing the circulation in my hands making weird, red/white/blue painful patterns when the temperature changed. Patriotic, yes, but I knew something was not right. Not only did Whole30 give me my life back initially, Whole30 has given me the confidence to understand that I know, FOR REAL, when my body is trying to tell me something. Sometimes it is a whisper, sometimes a scream, but I can hear it. I know how to listen to and respect my body; I know if/when something is off. Whole30 has given me the tool that I was most desperate for, even though I did not know it existed until this program. For the first time in my life, I could receive the messages my body was communicating to me. This, I dare say, is even better than #tigerblood. This newfound confidence led me to further advocate to figure out these symptoms. After a series of blood work, gluten testing biopsies, skin allergy scratches, breath tests, and more, I was getting closer to answers. The skin tests showed that every food allergen tested (all 72 of them!) triggered a histamine response in my system. I was covered in hives, 72, to be exact. Turns out, my mast cell was on overload, meaning my body was in attack mode on itself. The biopsy of the esophagus/small intestine/stomach showed inflammation and more specifically, a small intestine that wasn't holding up its end of the bargain (i.e. not really working). Much to the team’s surprise, I did not have celiac disease, but did have enough inflammation that everyone agreed gluten caused me trouble on the inside as well as the outside. And my breath test (a very awesome test where you spend a lot of time blowing your breath into bags every 15 minutes over a three hour window, hoping not to poop your pants, with all the gas coming out of you) showed that my small intestine had a whole world of bacteria that was not supposed to be there, producing way too much hydrogen and methane, wreaking all sorts of microbiome havoc. I was diagnosed with small intestine bacteria overgrowth (SIBO), and began a new treatment process. Here is the other amazing side effect of Whole30 that people don’t often mention: the program straight up builds resilience. I spent the vast majority of 2016 treating my mess of a gut. This included a lot of food restriction, treatments, and lifestyle changes. It was an incredibly difficult AND empowering year. My weight fluctuated greatly. People asked me A LOT of questions about what I could eat. Thankfully, I was able to add foods that I had tested through Whole30 confidently when the time was right. Also, because of my history of Whole30 living over the years, I knew the healthy, nutrient dense foods that made me feel my best (and satiated) while my body was busy healing itself. Now, I am still balancing life in recovery from SIBO. Sometimes, I add new foods to my plate and end up not feeling great. With Whole30 as my foundation, my rock, my baseline, I know how to get back to feeling my best in record time. While my weight is over 60 pounds lower than where it was before I found Whole30, it still fluctuates. I am human, after all. My microbiome is still quite sensitive, just like the rest of my constitution, and my weight fluctuations vary along with the bacteria. Thanks to Whole30, I also have learned what foods are “worth it”, what triggers ALL THE CRAVINGS, what impacts my anxiety, and what healthy, nutrient rich foods taste the most delicious. (My front-runner? Nom Nom Paleo’s Cracklin’ Chicken, cauliflower mash, and roasted brussel sprouts, for the record.) The food addict voice whispers at me here and there, especially when stress goes up and self-care goes down, but with Whole30 in my back pocket, I know how to change the conversation. Whole30 has provided me with the map for finding my food freedom after a lifetime of living in food prison. It really does start with food, which is why it is one of the most important pieces of my #YearofIntuition. Whole30 has given me so much, and continues to be a major key for me in my process of untapping my sparkle. This program truly WILL change your life. Whole30 truly makes me sparkle. Want to sparkle together? Whole30 Certified Coaching programs are available.